Sorry, we’ve been quite busy over the past couple of weeks with stuff, both house-building and work-related, but I though I’d put up at least something of an update. Firstly, we’re rid of the trailer. The good free help we were talking about before went AWOL, so the last push was just us (with help from my brother… you’re awesome, man!) There’s still some trash lying around the site that we’ll get to, but nothing that presents a hazard to navigation or sitework. 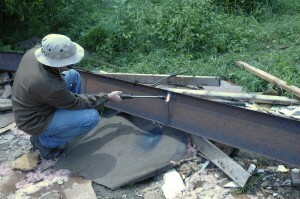 We also had to cut up the steel frame of the trailer using some torches, which was a lot of fun, even in the 95-degree heat. I’m sorry about some of the weird colors in the pictures, but the camera had a really hard time dealing with the direct sunlight and the super-bright light of the torch. Kind of like this. It was very, very warm. I had sweat literally soaking through the fabric of my jeans. This was our high-tech rig for moving the oxygen and acetylene around the job site. And scrap! We cut to about 6 foot because that’s what we needed to fit in the truck. 4 foot pieces bring more at the scrap yard though. Torches were very reasonable. We had to put down a deposit of $200 to rent the equipment, and it was about $20 to fill each tank. We had to re-fill the oxygen once, so total was about $60, which was covered by the cost of the scrap with beer money left over. 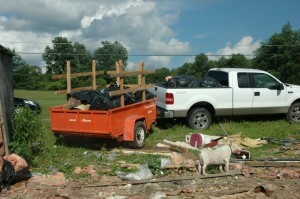 After that, we picked up trash. I hate fiberglass insulation. It’s itchy. But our puppy-dog Tuna came over to help! This entry was posted in Planning, Sitework on July 29, 2013 by Matt. The trailer is still up. This is frustrating. So in the meanwhile, I’ll talk some more about the theory of building a healthy house. I explained how we’re avoiding the formaldehyde in furniture and how we don’t have to worry about the walls (because we’re using ICFs). In this post, I’ll try to talk about floor joists and sub-floor, or only the floor joists if the post gets too long. You put subfloor over the top of them and then put carpet, linoleum, tile or hardwood over the subfloor. Except we all know that the only cool choices are tile and hardwood of course. 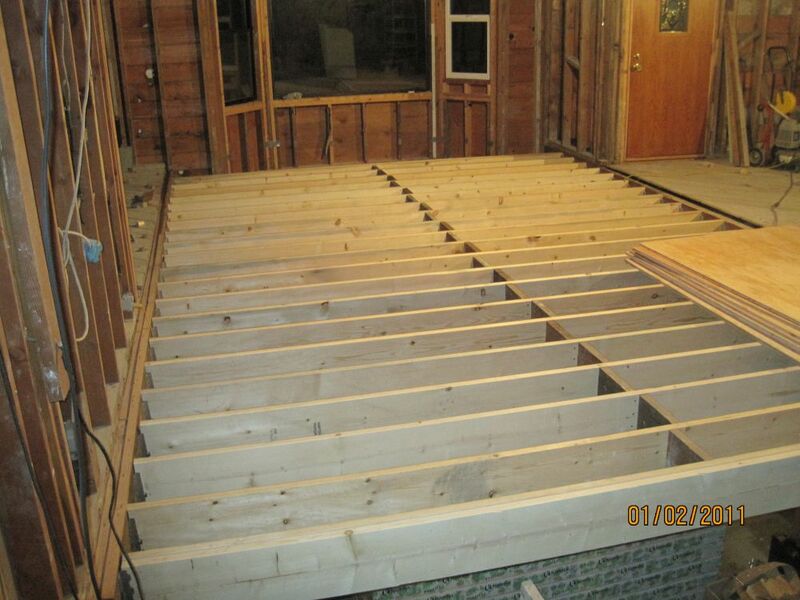 On that picture, the floor joists are simply untreated dimensional lumber (2x10s by the look of them). Until not so long ago, that was pretty much the only choice. It’s also a pretty good choice because untreated lumber doesn’t outgas anything. The problem is, dimensional lumber doesn’t commonly come in lengths greater than 16 feet. It’s just too hard to find trees that are tall, wide and straight enough. However, the interior span of our house is over 30 feet. Normally, you can work around that by correctly placing load-bearing walls so that no unsupported span is over 16′. 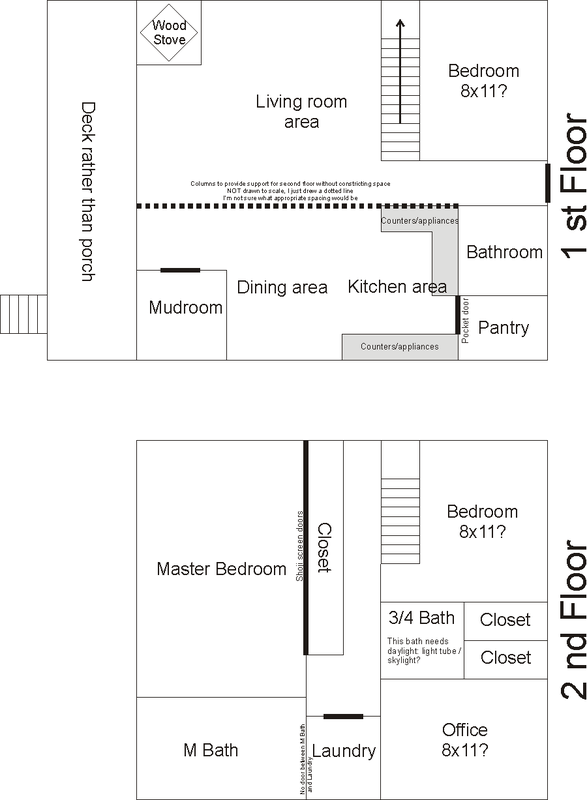 However, our living room is 16′ 3.5″. That’s simply impossible to do with dimensional lumber. Oh no! Have we been gypped by our architect?! 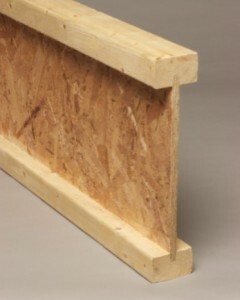 This is a composite wood I-beam. 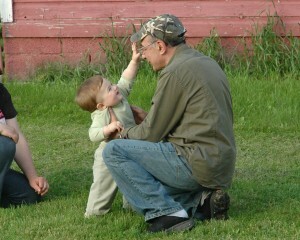 Picture from this website. The advantages are: an I-beam is stiffer than dimensional lumber of the same size. This means the floor is less “springy”. 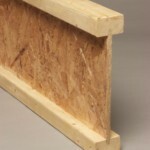 I-beams can also be much wider and longer because they’re not cut out off one piece of wood. Dimensional lumber doesn’t come in a size greater than 12″ wide by 16 foot long; I-beams, however, can be up to 16″ wide or even bigger if you custom-order, and they can be any length you want. A 16″ I-beam doesn’t need any support over a span of 32 feet! 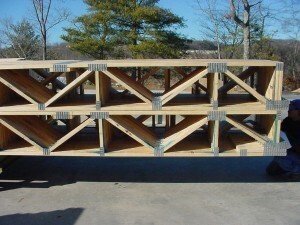 An I-beam will also not bend or warp due to age and humidity. The disadvantages is I-beams use engineered wood and therefore outgas formaldehyde. They’re also more expensive than regular wood. I-beam floor joists. Picture is from this website. 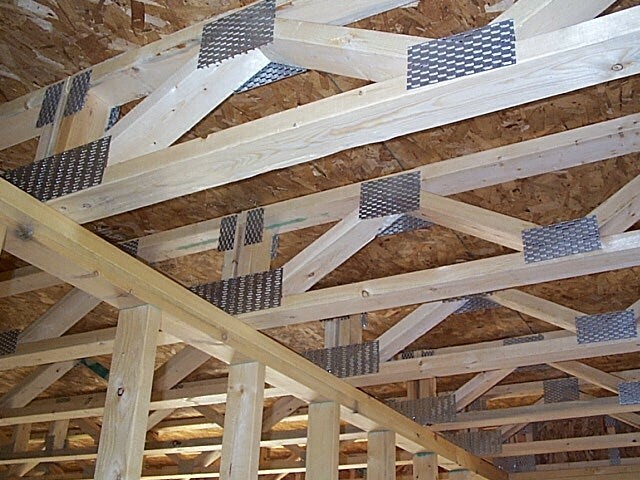 Floor trusses stacked on each other. Picture from this website. Advantages: no formaldehyde because they use regular untreated lumber. 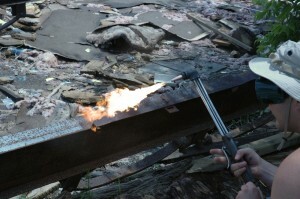 However, they may be coated with a fireproof coating that can outgas substances. That should be looked into. 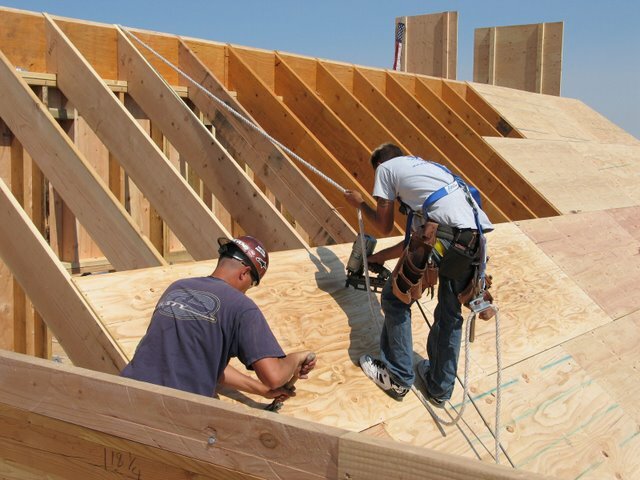 Floor trusses can also be made as long as necessary and strong enough to cover any span. Another advantage is that it’s really easy to run plumbing, ducts and electrical through them because they already have a bunch of openings going through them. 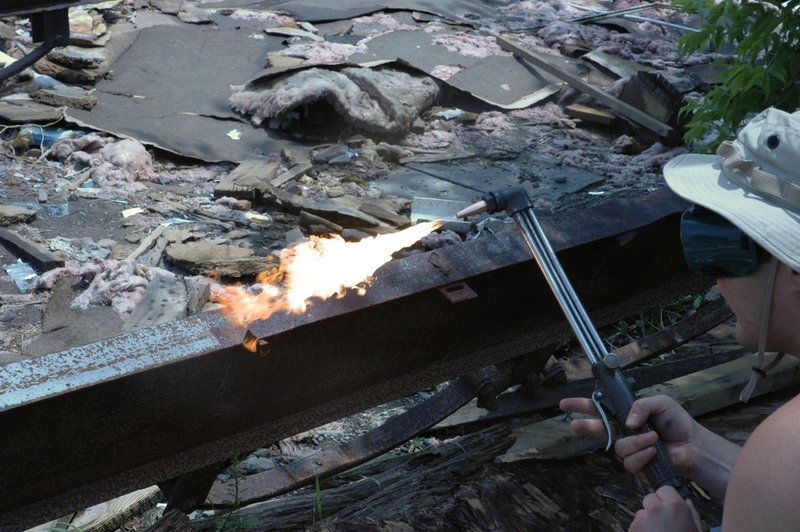 For I-beams and regular wood trusses, you have to carefully drill holes through the trusses. 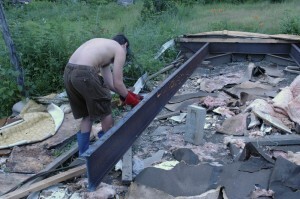 Disadvantages: they’re a little more expensive than I-beams, and much more expensive than regular wood. Floor trusses in action! Picture from here. Steel joists. Picture from here. Advantages: Tough and cheap (the only thing cheaper is dimensional lumber). Fireproof. Doesn’t outgas anything. As you can see in the picture, they have pre-drilled holes for plumbing and electrical. Disadvantages: Not going to lie on this one – I’m personally a little leery of screwing sub-floor to thin sheet metal (which is what steel floor joists are made of). It doesn’t seem like that would be as strong as attaching the sub-floor to a nice, thick bearing surface. But I may change my mind as I look into this more. So which of these options are we going with? Oh, another advantage of I-beams and steel joists is that they’re available instantly! 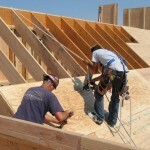 Floor trusses have to be built to your exact specifications and it usually takes a few weeks (I’ve been told 2-3 weeks). So keep that in mind! 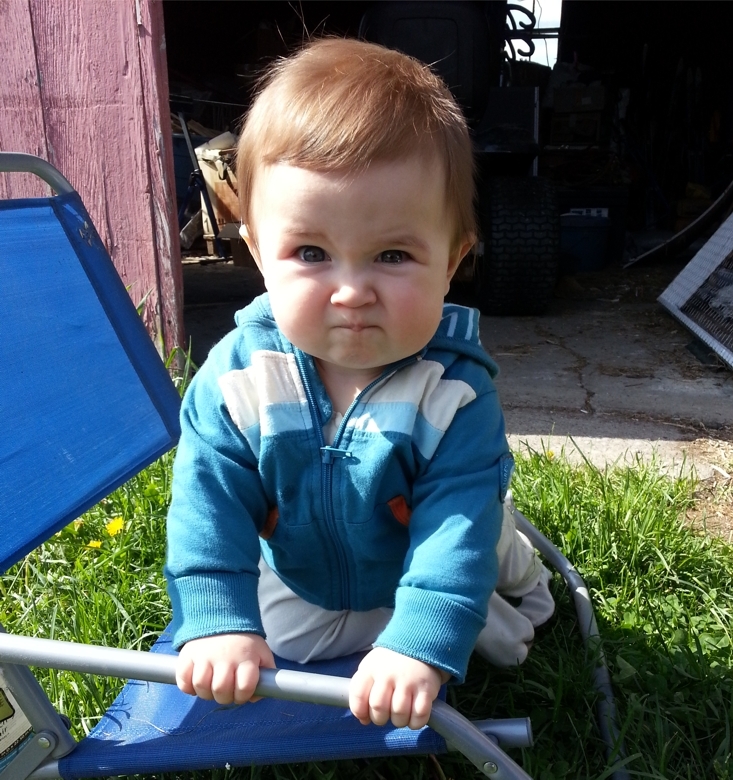 The child and I are not amused by how long it’s taking to bring down this trailer. Can you tell how not amused we are? This entry was posted in Uncategorized on July 3, 2013 by Matt. Good free help is hard to get! Or, it was for a while at least. 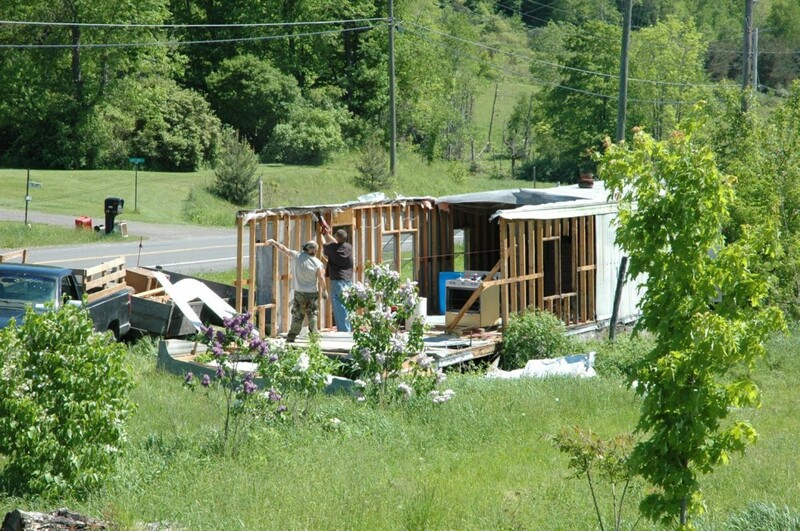 There were a couple of weeks there where the trailer was only half demolished, and (sorry, neighbors!) it looked a heck of a lot worse than it did when it was in one piece. And since it’s been a couple days of lovely (not too hot) sunshine, Baby has been out there enjoying it. 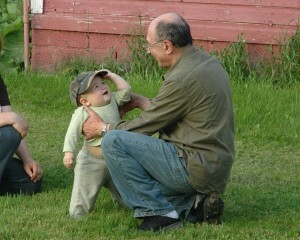 That’s his grandfather in the picture. It looks better on me, right? 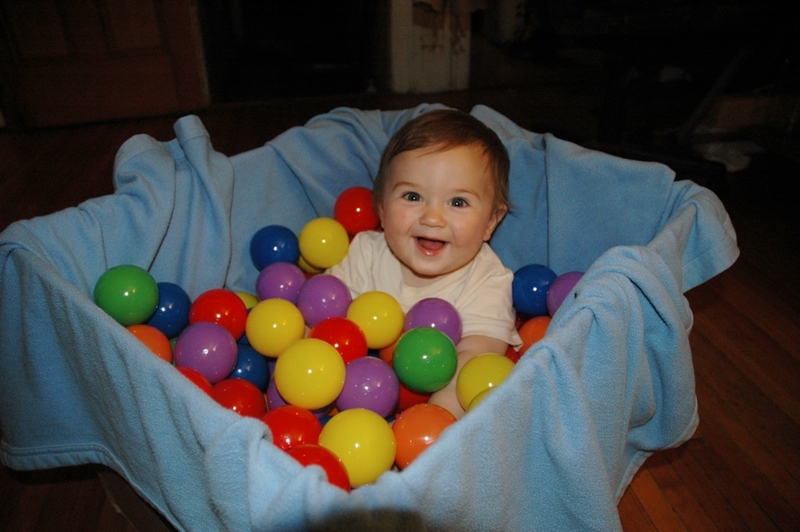 This entry was posted in Uncategorized on June 16, 2013 by Grace. This is OSB/Chipboard. Picture from Wikipedia. This is MDF. Picture from Wikipedia. As you know if you’ve been following the blog, we’re committed to building a healthy house. Guess what gas makes up most indoor air pollution? (Hint: it’s right in the title of the post…) Yup, it’s formaldehyde. 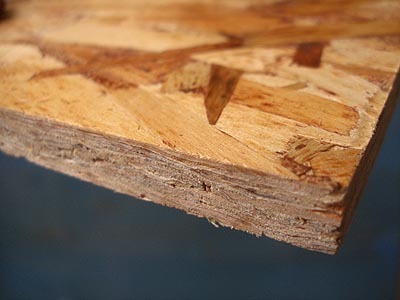 Formaldehyde is a component of glues used in making most types of engineered wood products: plywood, OSB (aka chipboard), MDF, particleboard, etc. Formaldehyde is used because it’s cheap and strong. Unfortunately, it’s also toxic in large quantities and can cause cancer in small quantities. 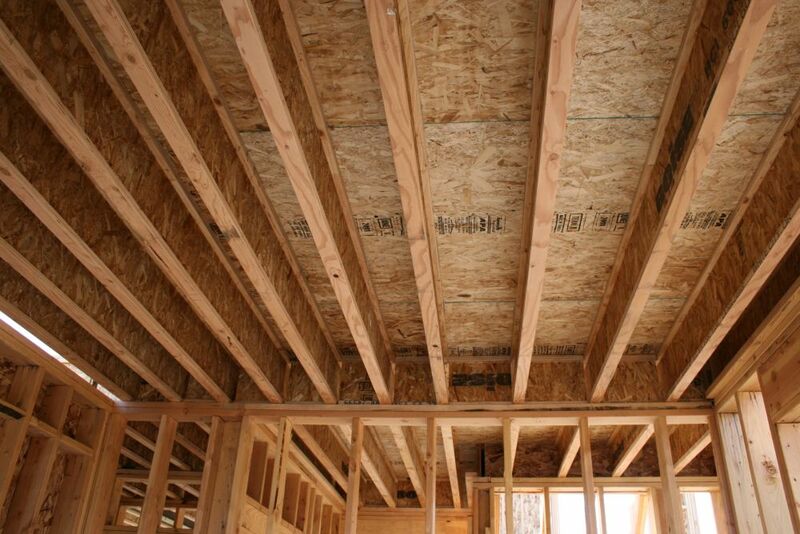 More importantly, various types of engineered wood can outgas formaldehyde for years and years after they’re made. Furniture. Pretty much all furniture nowadays uses particleboard, and particleboard leaches formaldehyde. Of course, Megan and I haven’t gotten around to furnishing our house yet, but when we do we’re going to try and use as much solid-wood furniture as possible. Some of it we’re going to make ourselves, some of it will be re-vamped antiques and some of it we’ll buy new. Believe it or not, there are a couple of companies out there that make ready-to-assemble furniture out of solid wood, and they’re not even that much more expensive than the particleboard stuff. Floor Joists. Traditionally, floor joists were just great long boards of untreated timber that came straight from the lumber mill and didn’t outgas anything. 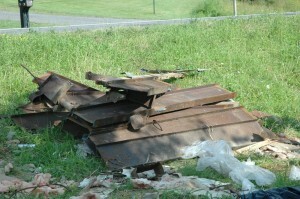 Nowadays, wooden I-beams have become very popular. Their advantage is that they can bridge larger spans without needing extra support (such as our wide-open dining room/living room area). The disadvantage is that they use engineered wood, which means formaldehyde-based glue. Sub-floor. In older houses (such as the one we’re living in now), these were just regular untreated boards nailed down over the floor joists. 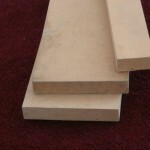 Nowadays, plywood is used because it’s cheaper, flatter and changes less due to swelling, drying and warping. 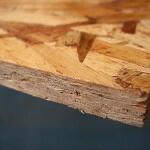 Plywood releases formaldehyde. Workers putting down roof sheathing. 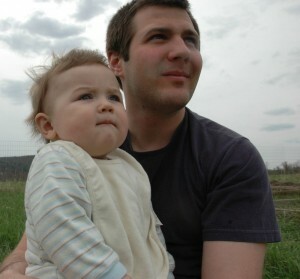 Picture from this website. Hardwood Floor. 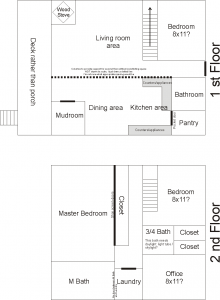 We want to have hardwood floors throughout most of our house. The traditional way to do this is to nail down regular hardwood boards and then finish them with some kind of sealant. But you can also get engineered floor, which has the advantages of being less work to install, easier to soundproof and doesn’t have to be sealed (most sealants outgas as they cure), which are all important things for us. The drawback? 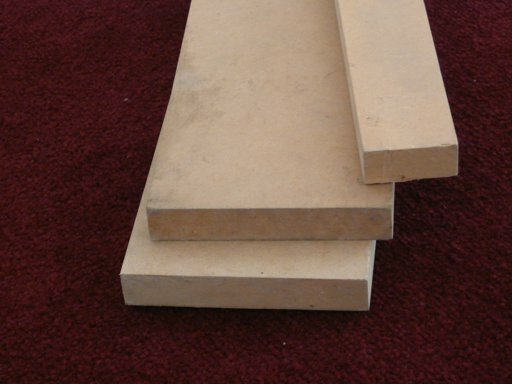 Most engineered floors use plywood bases. Roof. Roof sheathing, which is the outer layer of the roof to which you attach the shingles, is usually some kind of engineered wood. So what are we doing to deal with these sources of formaldehyde? Several things! But I’m leaving that for another post, because this one is getting long. 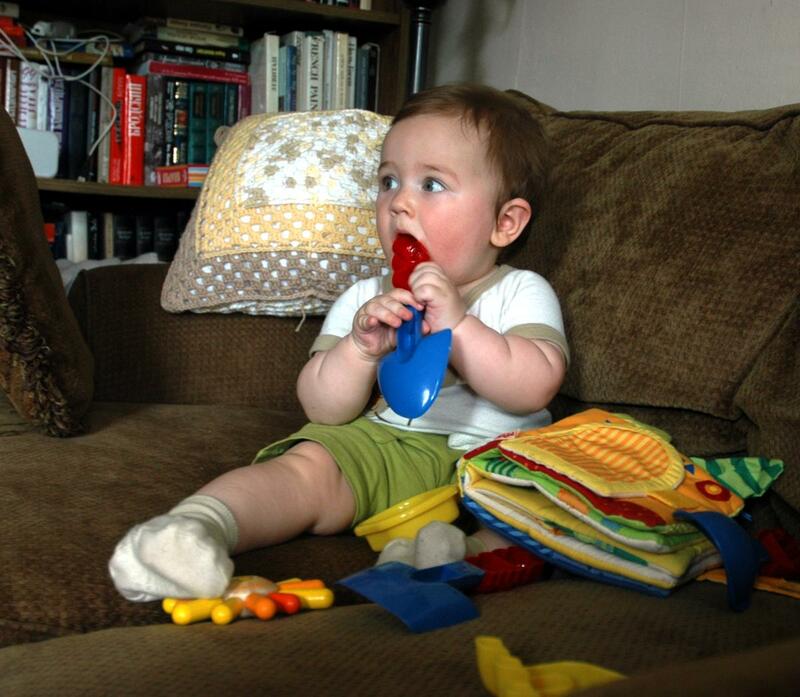 This entry was posted in Green Practices, Healthy House on June 12, 2013 by Matt. 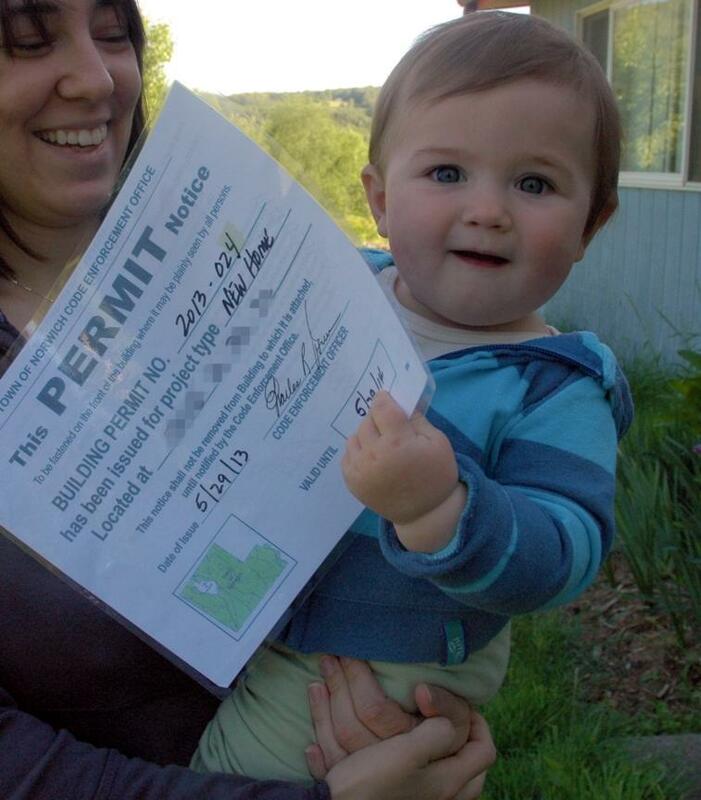 We have a BUILDING PERMIT! In other (brief) news, the people who are in the process of tearing the trailer down have suspiciously disappeared since last week. Granted, it was raining for about half of the days they’ve been missing, but the rest of the days have been sunny and not deathly hot or anything…where are you, fellas?? 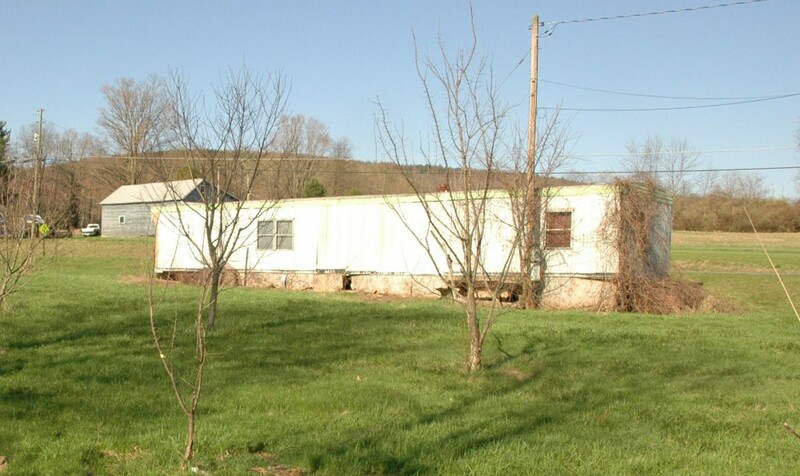 That half a trailer is calling your name! This entry was posted in Uncategorized on June 9, 2013 by Grace. Sorry that the photo is a little blurry. Now, it’s not the prettiest (inside or out), but the walls and roof are sound, and it’s a “trailer”, right? So my first thought was that maybe someone could use it to live in and I put up an ad on Craigslist offering it for free to anyone who can get it out of there. And I got some interest. A few people came out to look at it. 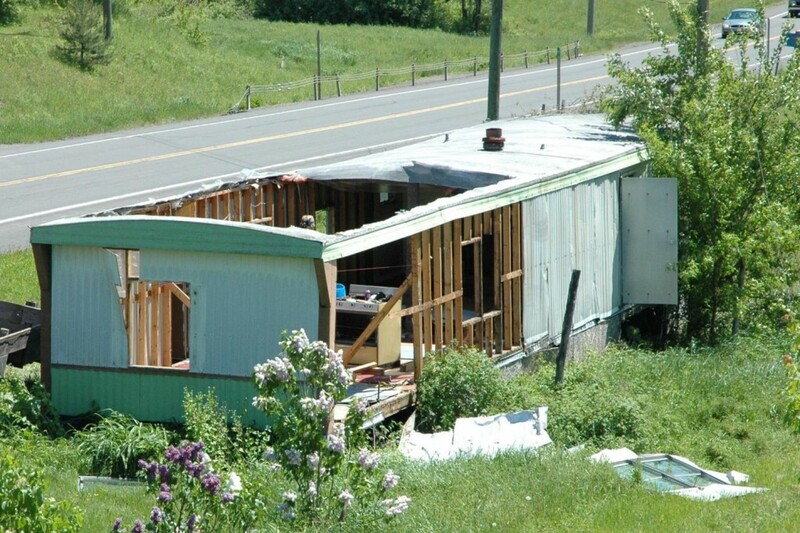 Unfortunately, transporting a mobile home is pretty expensive unless you already own the equipment: thousands of dollars, depending on mileage. So ultimately, that got no takers. 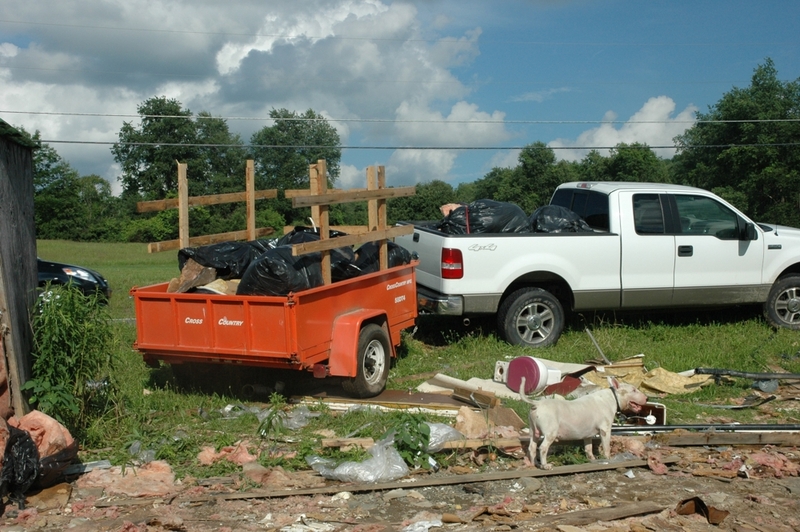 We’ve had some heavy thunderstorms for the past few days, so the work has been on hold, but the trailer should be torn down with plenty of time to spare. By the way, to get this thing torn down by a professional demolition crew is around $3,000 – $3,500, and you need to get a demolition permit. I know because I asked one of the guys who was giving me a quote for excavation and septic. So I think everyone got a pretty good deal. The building permit application was submitted on Friday, May 24. I have another ICF block to consider, which is Fox Blocks, mostly because of their “Fox Buck”, which is a neat and elegant way to make door and window bucks. (When I first heard the term “window buck”, it sounded vaguely unstable and dangerous. Like a bronco or something. But actually, it’s the frame that forms the window opening to which you attach the actual window when you install it. And ideally, there is no danger involved.) Anyway, bucks are kind of a weak point in the ICF construction process, at least so far, though a few companies are coming up with better ways to do them. I’ll be writing in more detail on the subject at some point. This entry was posted in Green Practices on June 1, 2013 by Matt. Grace and I didn’t talk about this when we discussed why we picked ICFs, since it’s not really a concern in our area, but after the horrible events in Oklahoma over the past couple of days, I thought I should mention it. 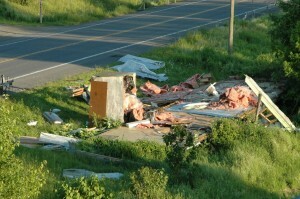 ICF construction is “tornado-proof”, or at least tornado resistant. Six inches of concrete reinforced with rebar are pretty tough, and if you build the roof correctly, you would be in pretty good shape. 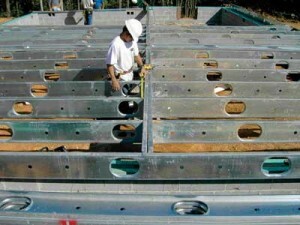 Some ICF manufacturers claim that ICF buildings can withstand up to 200 mph winds. This might not help if the tornado barrels right through your home, but it could be the difference between life and death if you’re a little further away. The same applies if you live in a hurricane-prone area (and since Hurricane Sandy came through southern NY last year, only a few hours away from us, I’m not sure I can really say that our area is “hurricane-safe”). Hopefully this technology becomes more popular in the tornado belt. I know that a lot of people already use ICFs to add tornado shelters to existing homes (something like this). As Grace and I hope to prove, ICF construction is not more expensive than stick homes, and I think it can really make a difference when Mother Nature is unhappy. So I’m sure you’ve noticed it’s been quiet for a couple of days. We’re in the process of applying for a building permit (I’m dropping the paperwork off tomorrow). We’ve also been getting quotes for site work — excavation for the foundation, driveway, that sort of stuff — and doing some more research on ICF blocks, since it’s around that time where we need to settle on a brand. The short list so far seems to be (in alphabetical order): Amvic, BuildBlock, IntegraSpec, Logix and RewardWall. These products are broadly similar. They’re generally considered pretty good. Each has its little pros (which the manufacturers’ websites will be more than happy to tell you about in great detail). I’m sure there are little cons as well. Three of them are Canadian. Two are US-based. All of them can (theoretically) be used to do what we want to do. So we’ve some reading to do and some choices to make. We’ll keep you posted! 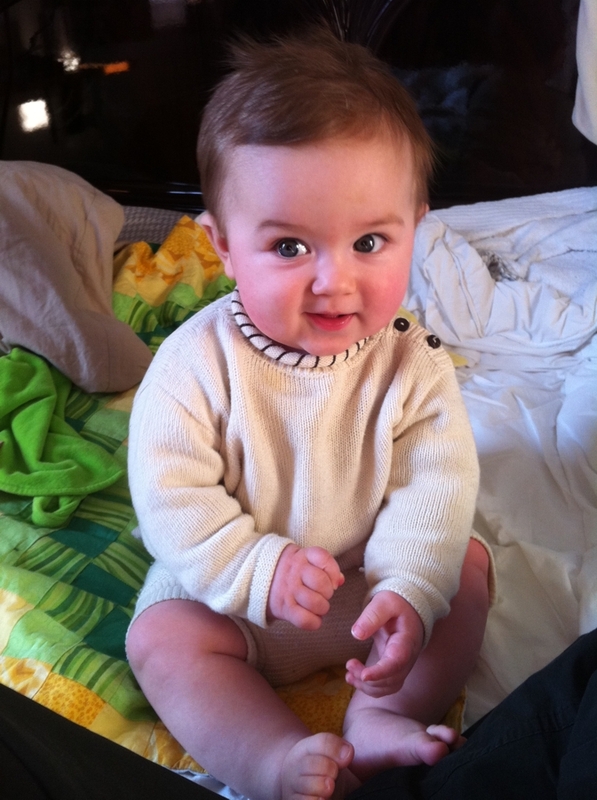 Cute fat baby! Look at the little toes! 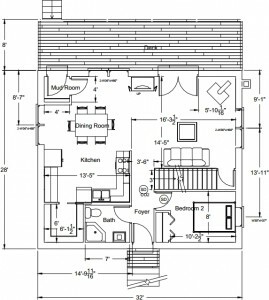 This entry was posted in Green Practices, Healthy House, ICF, Planning on May 23, 2013 by Matt. This journey started out in college, and it began as a result of me being a huge fan of wet wipes. I used them all the time, and I went through a lot of them every week; they were a staple on my weekly shopping list. One day I woke up with an extremely dry mouth. I was thirsty the whole day, and no matter how much water I drank the dry feeling wouldn’t go away. This continued for several days and I was really puzzled, but figured I was just dehydrated, and it went away as suddenly as it began. A week or two later, I reached for a wet wipe and almost as soon as I used it, my mouth dried up and my sinuses started burning. It was an “A-ha!” moment. I realized that the chemicals in the wipe I was holding were causing an immediate negative reaction in my body. I tested out my theory twice more that day, just to check, and the same thing happened each time I used a wipe. After that, I stopped using wet wipes. We want to shield him from as many health problems as possible, and to keep ourselves healthy so that we can be around for him for a long, long time. By chipping away at the things that can make us sick, hopefully we’ll be doing just that. 1- VOCs, or Volatile Organic Compounds. “Volatile” means that these compounds evaporate easily. Usually, they’re used as solvents in substances like paint or glue. Some household things that commonly contain VOCs are carpets, plywood, wood finishes, spray-on insulation, particleboard and, of course, paint, to name a few. VOCs can be natural (like turpentine) or synthetic (like acetone), but they’re much more likely to be harmful if they’re synthetic. 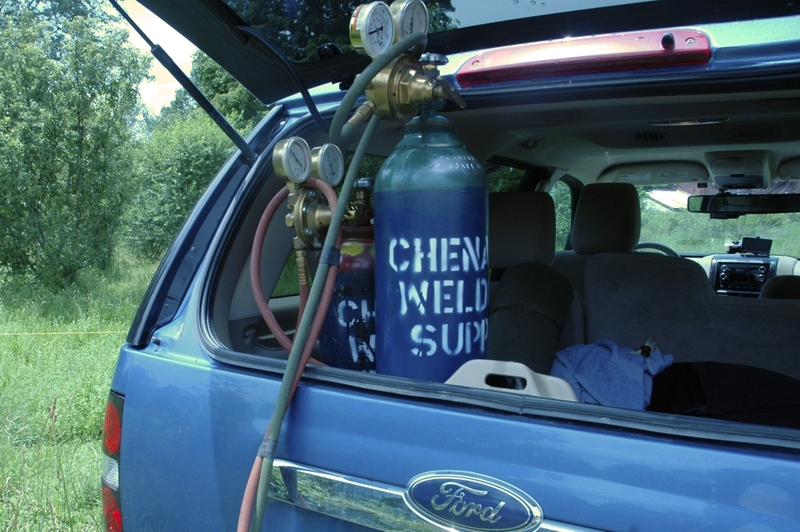 Items that contain VOCs slowly release the chemical vapors into the air, which is called outgassing. 2- Toxic byproducts of combustion. Fireplaces, woodstoves, and appliances that burn gas and kerosene, such as water heaters and furnaces, use up oxygen in the house and release harmful gases and particulate matter into the air. 3- Pesticides/biocides. Not just sprayed on lawns and plants, soil under houses is often treated with pesticides before the houses are built. Wood and other building materials are often sprayed in an effort to prevent mildew and mold from growing. 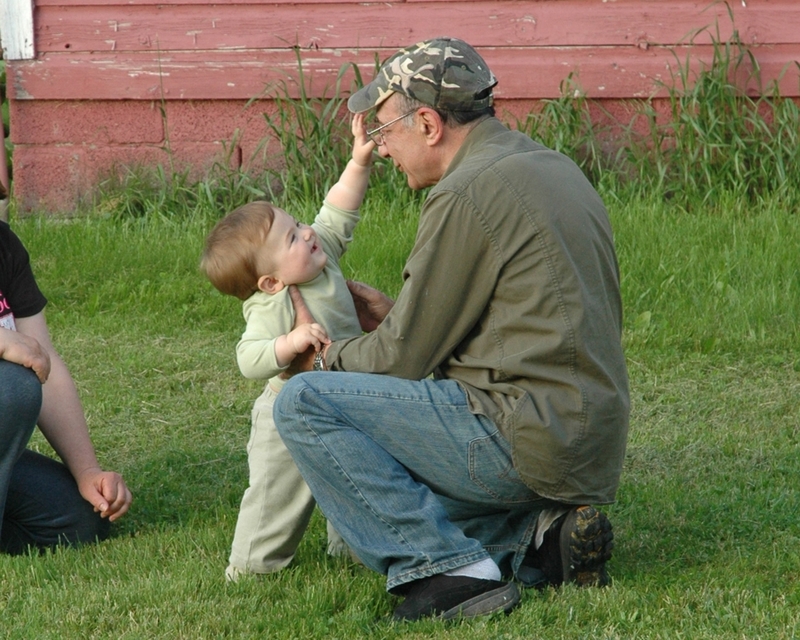 Pesticides can be very harmful to humans, especially to children, and can cause a wide variety of ailments. 4- Naturally Occurring Pollutants. This category includes things like dust, pollen, mold and mildew, radon and heavy metals. They are “natural” because they occur by themselves in the environment and are not brought in with building materials, but they are still harmful and should be as limited as possible within the home. 5- Electromagnetic fields (EMFs). The location of things like power lines and radio waves outside the house, and things like computers and microwaves/other appliances inside the house, or poorly done wiring, combine to create electromagnetic fields that can adversely affect home-dwellers. Scientists have only recently started looking into the effects of EMF on living organisms, but the research that’s available shows that the effects can be pretty major. I’ll get into more detail with specific products in other posts, so forgive my generalization here, but these are the sorts of things that we’re going to try very hard to avoid and limit while putting our home together. This will entail a lot of research on our part, and close examination of various building materials and products from different companies to see which best fit our wishes and our budget. If anyone has any suggestions, do feel free to let us know, and as we go along I’ll list the materials we decide to use and the reasons why, and the benefits of each. This entry was posted in Green Practices, Healthy House, Planning on May 20, 2013 by Grace. 1. 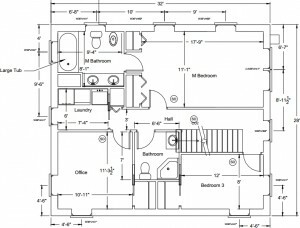 Call up the county clerk and find out what it takes to get a building permit now that we have the house plans and the septic plans. 2. Start getting quotes for materials and those things that we’re sub-contracting out (such as excavation) or partially sub-contracting out (such as the footing). Previously, I mentioned that we needed to get quotes for well-drilling and septic, but as I found out, those things go in after the walls and roof are up (because you don’t want construction machinery driving over a septic tank or a well head; it’s not good for it), so I’ve put that off for now. This entry was posted in Architect, Planning on May 11, 2013 by Matt. 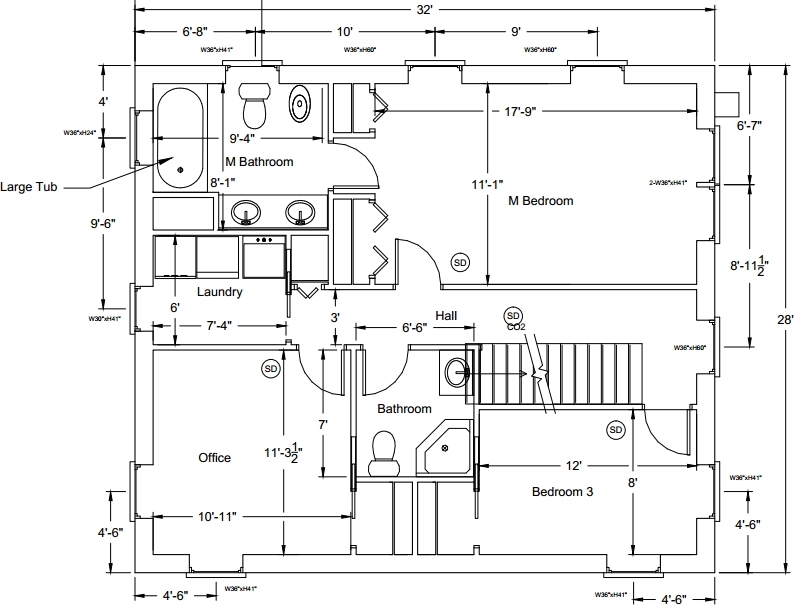 The first draft of the house plans is here… and it is a disaster! First the good news – we got our first set of plans from the architect! And they arrived (via email) really quickly – it only took a few days, which was a pleasant surprise. The bad news? 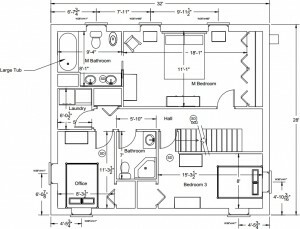 We’re apparently really bad at communicating with our architect. Let me explain. 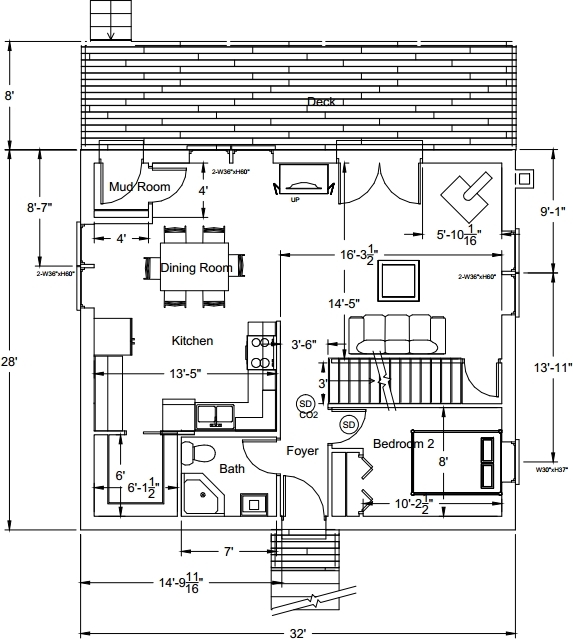 We gave the architect a lot of specific guidelines for aspects that we wanted included, such as: we wanted an open floor plan, we wanted a certain footprint (about 25×30), we like our privacy (and don’t want to be on display to neighbors/the road), to name a few. And he managed to pretty much include everything we were asking for, only in the opposite way of how we were envisioning it! And all this because we never communicated our VISION for the house to him, we just expected that with a list of guidelines what he came up with would match what was in our heads. For example, that part about liking our privacy? He allowed for that by putting very few windows on the front of the house, and in other places like the kitchen (facing the neighbors) and a few bedrooms (facing the road). And while we DO like our privacy, that really means that we want windows where windows would normally be, but we’ll just take it upon ourselves to hang curtains or put in frosted windows for privacy – which is something an architect isn’t really concerned with, seeing as it’s not a structural matter. Should we have really said that we “like our privacy” when there’s nothing we wanted the architect to actually do about it? Probably not. Communication fail. 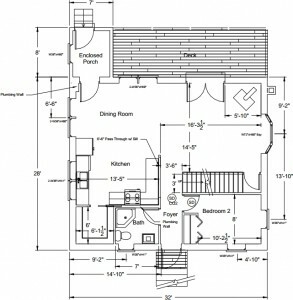 This is our sketch of the floorplan. What the plans did really do for us, however, was give us a sense of scale that we were lacking while dreaming up this house. 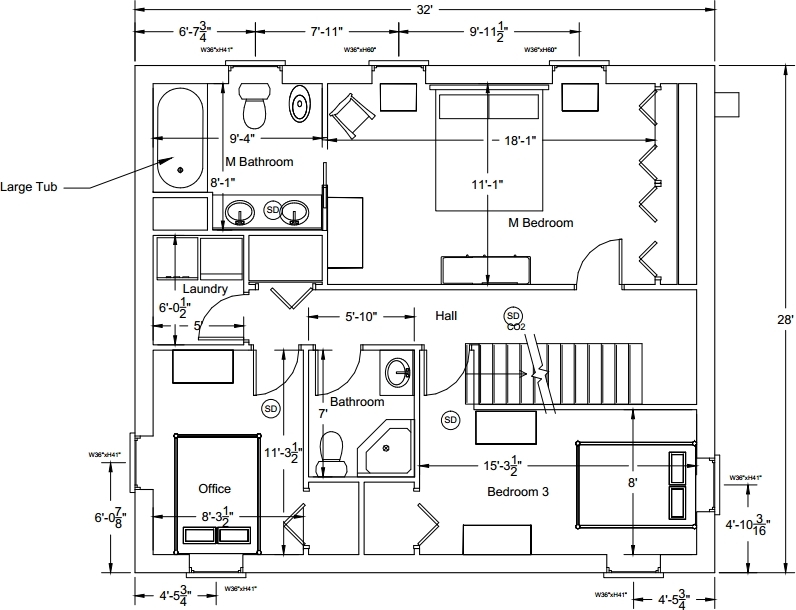 We got to see how compact things will be, and how very carefully rooms and appliances need to be arranged within the house to give it the “feel” we’re going for. Note from Husband: We also took the architect’s suggestion and increased our footprint to 28×32. Which is only a couple of extra feet in either direction, but boy does it make a difference. Fingers crossed for another quick turnaround with the architect and for our plans to work out structurally! 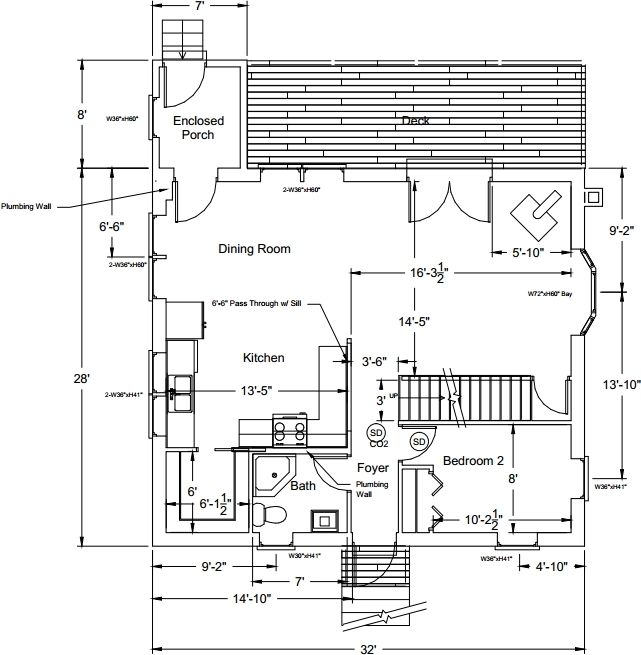 This entry was posted in Architect, Planning on May 7, 2013 by Grace.